Carl Harrop, a professor in the Ceramic Engineering Department at The Ohio State University, founded Carl B. Harrop Engineers in Columbus, Ohio in 1919. The previous year he had been granted a patent on a new type of car tunnel kiln, a device for firing ceramics in a continuous process which saved substantial energy over the traditional batch firing methods. Harrop’s first project was to design two of these tunnel kilns to fire vitrified hotel ware for the Chelsea China Company in New Cumberland, West Virginia. 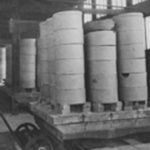 In 1923, Harrop designed and built the first tunnel kiln for clay brick in the U.S. for Ohio Clay Company in Cleveland. 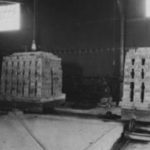 Another notable first was the technology application of electric energy for firing glazed ceramic tile, with the construction in 1929 of Harrop’s first electric tunnel kiln at American Encaustic Tiling Co. in Zanesville, Ohio. Harrop was also pioneering the design of other types of continuous kilns, with its construction of the first pusher plate kiln for firing pottery ware at Crooksville China co. in 1930. 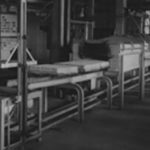 In 1927 the company incorporated as Harrop Ceramic Service Company, with Carl Harrop as president until his death in 1934. Leadership passed in 1936 to George D. Brush, a civil engineer who had worked for Harrop since 1923. Brush retired as president in 1978, handing the reins to Dr. James E. Houseman, who continues as CEO today. In 2013, Stephen D. Houseman became president. To reflect the growing diversification, the company changed its name to Harrop Industries, Inc. in 1981. That same year, the corporate headquarters moved into its present location on East Fifth Avenue in Columbus, the site of Harrop’s fabricating shop and testing laboratory since 1950. Currently the company maintains 17,000 sq. ft. of office space, 36,000 sq. ft. of fabricating shop, and 10,000 sq. 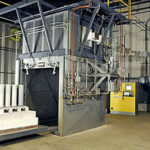 ft. of testing lab / toll firing facility.